The holidays are fast approaching and you don’t want to be caught without any bubbly! Pick up a case of your favorite Champagne, sparkling wine or prosecco now to avoid the rush. This is the time of year when family and friends stop by and you’ll be ready to toast the season. Dashing off to a last-minute holiday party? Grab a bottle and you are ready to go. Any leftover and you are ready for a New Years toast! 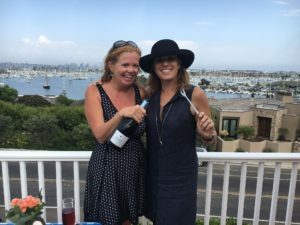 If you know anyone that has difficulty opening a bottle, bring them a ChampagnePopper as a gift. 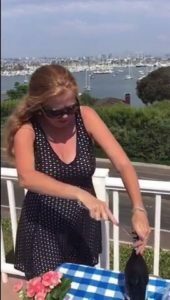 It’s the newest way to open a bottle of bubbly. Check out the video on how it works. Never again will you experience a stubborn cork. I’ll toast to that! 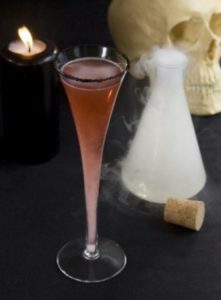 Champagne cocktails, perfect for Halloween. Halloween is only a week away! What will you be drinking? Love this champagne cocktail Collen Mullaney calls, Morticia…who was my favorite Addams family character. You can find the recipe on Colleen site….. http://colleenmullaney.com/pick-your-poison If you love the Morticia and crave more, you might want to pick up Colleen’s book, Stylish Girls Guide to Fabulous Cocktails, which you can purchase on Amazon. Make sure you have the perfect opener for your bottle, whether it's Champagne, Prosecco or sparkling wine. The ChampagnePopper also makes a great gift for kitchen gadget enthusiasts, excellent stocking stuffer and hostess gift. Order today and keep your favorite bubbly flowing. Plus you'll be able to tell your friends you had it before Shark Tank!